We are excited to announce the opening of our newest store in Scottsdale, AZ. The store, located in Kierland Commons, hosted its Grand Opening celebration on Thursday, March 3, 2016. 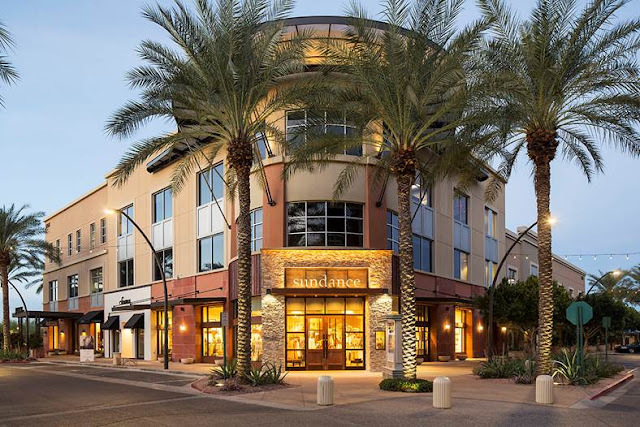 Kierland Commons is an upscale outdoor lifestyle shopping destination in scenic Scottsdale. The center’s history as a community partner, with long-standing ties to local, community-minded non-profit organizations, makes it an obvious fit for us. The opening of the Scottsdale Sundance store marks our first of several retail stores to open in 2016. Sundance opened stores in Edina, MN and Dallas, TX in 2015 and plans to continue this growth over the next several years. One-of-a-kind pieces and items exclusive to Sundance will be the cornerstone of the product offering.